Affordable Antique Shopping in Putnam, Conn. Some of those antique stores with the outrageous prices will make you turn old in a hurry. So where does one turn for antique shopping that won’t make what’s in your wallet also a thing of the past? Well, a good start is at Jeremiah’s Antique Shoppes in Putnam, Conn. With more than 40 dealers within the store, I found many items at under $10, including books, baseball cards, doll dresses (admittedly, of no interest to me), various memorabilia and dishes. You will find some mighty expensive items here, too, but it’s nice to know that no second mortgage is required for some of the merchandise. Putnam, by the way, is a major antiques shopping center in New England with more than 50,000 square ft. of shopping across several different shops. The downtown is a charming relic with the antique stores serving as the anchors. 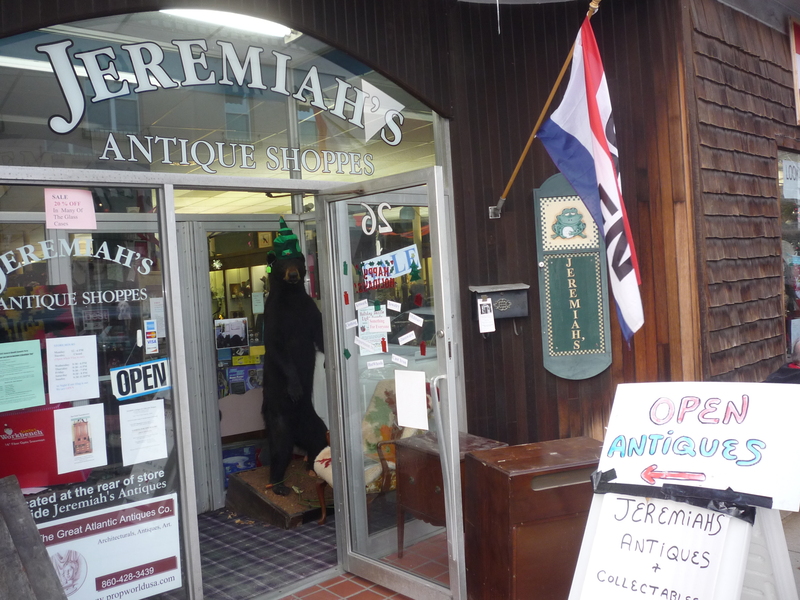 I’ve found that most antique stores in Putnam have good deals, but definitely Jeremiah’s sticks out in my mind as having the highest number of cheap deals. ← Bangor, Maine: Where Can We Dine Cheaply?